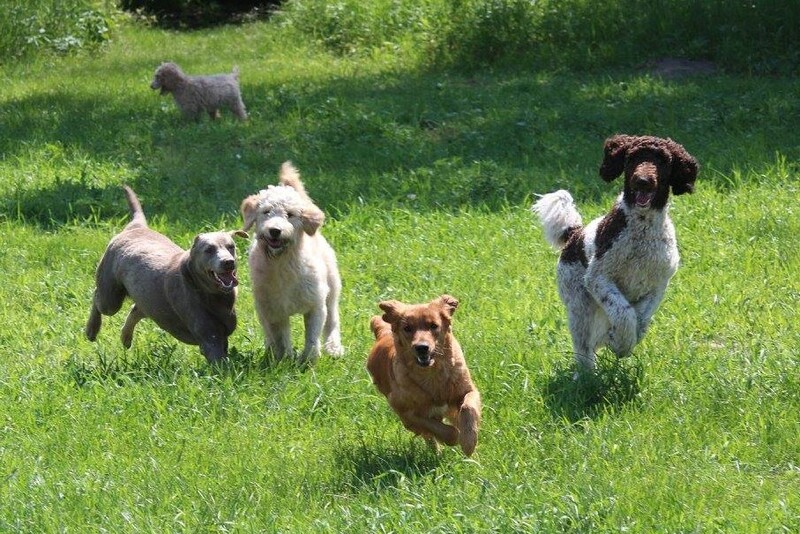 We are located in Bruno, Minnesota where we are lucky enough to spend our days raising Goldendoodles and Labradoodles. We are proud to be a cage free breeder, all of our dogs are part of our family and live in our home with us. They love running the acres of land we have and hunting gophers, squirrels or anything else that moves! While they love the outdoors they also enjoy the ability to come into our home whenever they please through their multiple dog doors. We offer Standard F1 and F1b puppies in both breeds. Our goal is to raise the best puppies we possibly can which is why we use the process called Early Neurological Stimulation (ENS) during the first 2 weeks of their lives to ensure they get the best start in life. They are also taken on car rides to help decrease the chance of motion sickness, and are exposed to sensory CD’s to help them develop a tolerance to noise. Most importantly they are handled often throughout the day, every day. Who doesn’t want to cuddle puppies all day?!! We LOVE our dogs and are blessed to have them and their babies in our lives! We welcomed 3 litters in February; Stormy’s F1 Labradoodles on the 15th, Sunny’s F1 Labradoodles on the 21st and Lux’s F1 Goldendoodles on the 24th! They’ll be ready for adventure in April, a perfect way to start your spring!! All of our dogs and their babies are raised in our home which gives us the ability to fill their lives with love and attention. We love all of them and are thankful for the unconditional love they give to us! All puppies are guaranteed against life threatening congenital defects for the first year. They are also well socialized, taken on car rides, exposed to sensory CD's and take part in Early Neurological Stimulation. 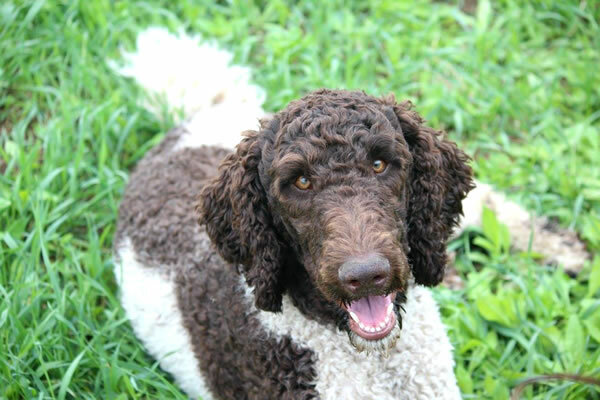 Follow Doodle Nation on Facebook for Cute Puppy Pics Served Fresh Daily!